Today is Blog Action Day 2009. 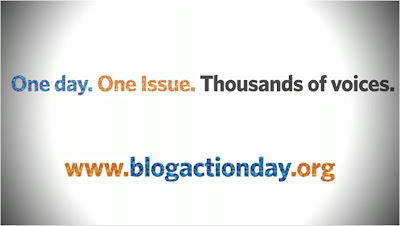 Blog Action Day started in 2007 and aims to unite bloggers around the world in order to create a powerful voice around a single issue. In 2007 Blog Action Day centred on environmental issues, in 2008 Blog Action Day highlighted Poverty and for 2009 the Blog Action Day theme is climate change. So join Blog Action Day 2009, spread the word and save the world! Whether it is actually true or not, there is a lot of evidence that supports it. I think that it is our best interest to error on the side of caution and treat it as though it is a real threat. If you were given a gun, one person said it has a bullet, the other said it was not loaded.... would you still hold it up to your head and pull the trigger? I am not sure if we have any effect on global warming but I think we still need to be energy efficient and help the environment. “Never in recorded history have so many made so much over so little”. (With apologies to the late, great Winston Churchill).